In honour of the publication of Radio Benjamin, we bring you Esther Leslie's presentation from the event Radio Benjamin: Live Now held at Tate Modern on 5th November with Esther Leslie, Gareth Evans and Mark Aerial Waller. 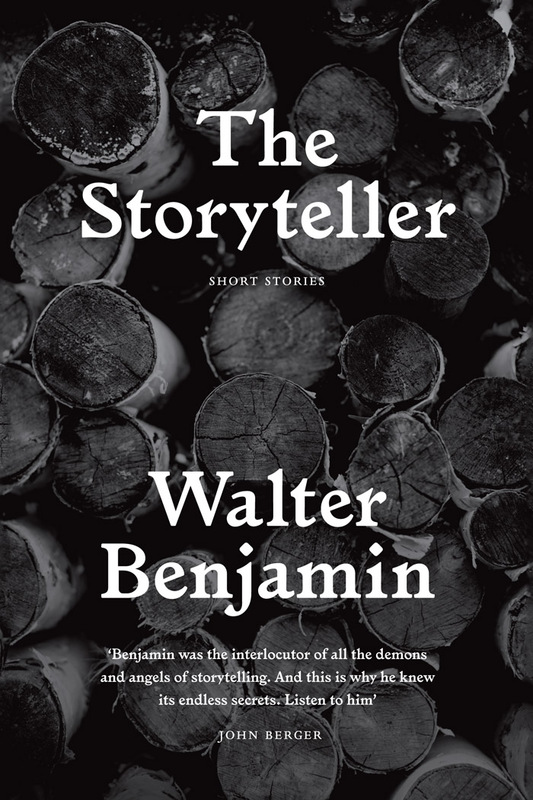 Walter Benjamin involved himself, from the mid-1920s, in the practical business of making radio shows, usually lectures, radio-plays or experimental ‘listening models’, some of which were directed at children, others at the general radio-listening public. The themes were diverse, with topics such as liquor bootleggers, Berlin dialects, the petrification of Pompeii, counterfeit stamps, slum housing, manufacture, the legend of Caspar Hauser, the history of the Bastille prison, witch trials and the history of toys. Benjamin spoke about the history and curiosities of Berlin, about figures from the shadow side of life and about catastrophes. He also made radio plays and puzzle shows. 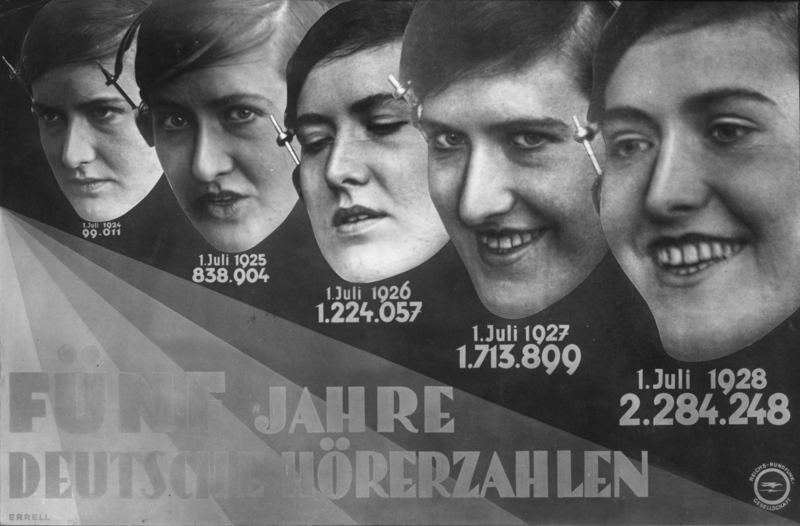 His radio work was made possible by the Weimar Republic’s liberal media policy. Innovating figures such as Hans Flesch and Ernst Schoen took over regional cultural programming. Flesch, for example, in his first broadcasts in 1924 carried out live sound experiments to make the audience aware of the mediation of the material. He commissioned radio plays by Brecht and Weill, introduced Ernst Krenek to radio music, and, in 1931, set up the first German studio for electronic radio work. Schoen was less of a formal experimenter than Flesch. His fascination was with radio drama that explored sociological and everyday situations. For Walter Benjamin, radio work allowed him to develop and test out his theories of media culture and the changing position of the cultural producer and the intellectual. Two of Benjamin’s essays ‘The Author as Producer’  and ‘The Work of Art in the Age of Mechanical Reproduction’ [1936-1939] were explicitly intended as investigations of the prospects for critical intellectuals in the modern age, as they strove to find strategies that would avoid pressures on them to be individualistic, competitive, elitist and promoters of art as a new religion. Radio, with its capacity for popular enlightenment, offered one promising context for modern knowledge-workers. A basis in montage, a reproducible nature, an activating appeal to audiences, simultaneous distanciation and intimacy:— all these were part of the possibilities promised by the new media. But the technical possibilities were rarely explored. 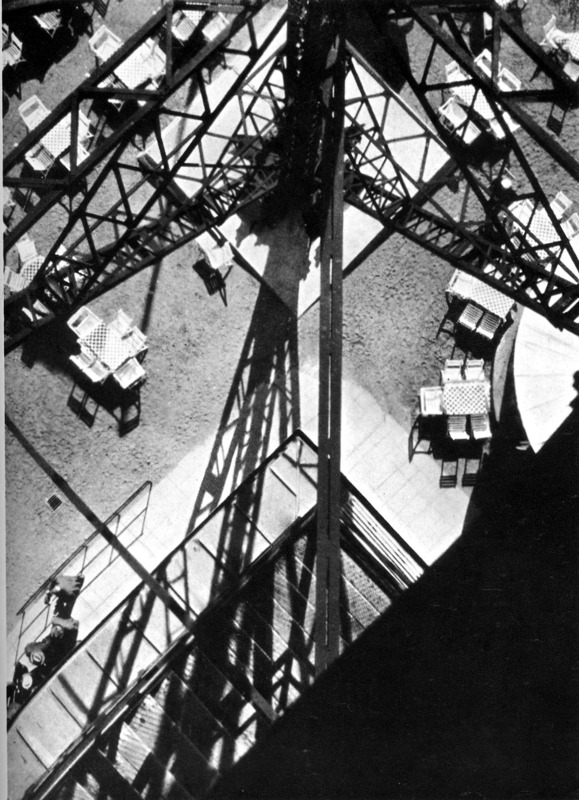 In 1931, Benjamin wrote ‘Reflections on Radio’ in which he theorised radio as a form of mass culture attuned to montage and the experimental. But radio fails to fulfill its potential. The most crucial failing is its perpetuation of ‘the fundamental separation between performer and audience, a separation that is undermined by its technological basis’. Benjamin argues that even a child knows that ‘it is in the interest of radio to bring anyone before the microphone at any opportunity, making the public witness to interviews and conversations in which anyone might have a say’. Radio is a democratic space in which as many voices as possible should be heard. But radio, Benjamin complains, has not challenged the overriding ‘consumer mentality’ of the age, whereby ‘dull, inarticulate masses’ have been created, incapable of judgement, unable to express its sentiments. It has failed to work with its technological and formal aspects – such as the tone and manner of the voice. What radio must do, he argues, is create listeners with expertise, a new expertise appropriate to the medium. Radio can create expert radio listeners, that is, people who are sonically-attuned, actively engaged in what they hear, and excited by the possibilities specific to radio, rather than people who see reflected in the medium their supposed already existing interests – novels, classical music, travel reportage. The root of the problem lay in the types of voices on radio, which, as uninvited visitors in the house, are judged immediately by listeners, who switch off after just a few seconds, cutting off the stream with a finality rarely seen in the equivalent slamming shut of a book. Benjamin bemoaned the fact that, as put it in a letter to a friend, all too often one heard ‘university lecturers blabbering away on the radio’. He was not above parodying his own early efforts to find a voice attuned to this medium. After an application process lasting months, I finally got a commission from the station management at D…., to entertain the listeners for twenty minutes with a report from my specialist area, booklore. Were it to be the case that my chatting found an echo, then there was the prospect of a regular repetition of such dispatches. The department manager was kind enough to point out to me that crucial, alongside the composition of such reflections, is the manner of their delivery. ‘Beginners’, he said, ‘commit the error of believing that they are holding their lecture in front of a more or less large public, which just happens to be invisible. Nothing could be further from the truth. The radio listener is almost always alone. And even assuming that one reaches thousands of listeners, one is only ever reaching thousands of single listeners. One should always act as if one is speaking to a single person, - or to lots of single people, if you wish: but never to many gathered together. The other lesson which is communicated involves time. Radio was a medium which insisted on sticking to clock-time. The radio station manager insists ‘finish on the dot!’ The story goes on to tell the tale of a bumbling presenter, perhaps Benjamin himself, inside the ‘modern broadcast studio, where everything was set up to serve the complete comfort of the speaker, the uninhibited blossoming of his abilities’. Glancing at the clockface, he is alarmed to see how much time has passed and thinks he must speed up with the reading of his script. Only decisive action would help: whole sections needed to be sacrificed. The considerations leading up to the conclusion would have to be improvised. Tearing myself away from my text was not without dangers. But I had no other choice. I mustered my energy, turned over several pages of my manuscript, while I dwelled for an extended period, and finally landed happily, like a pilot on his airfield, into the sphere of thought of the concluding section. But then he realises he has misread the clock and has ended too soon. A terror grips him in the silence, which he realises is multiplied in a thousand ears and parlours. He grabs a random sheet and stretches out the vowels of the words and inserts apparently meaningful pauses. In this way, he reaches the end. The time of the broadcast has not yet become habitual for him. He is a child in this new environment, whose first single effort is a failure, and who must repeat again and again until it becomes integrated into his mode of being. Benjamin’s anecdote teaches us about the new accord of humans and technology. The time is the time of the radio machine. Before it the performance is made, but it is conveyed into homes, where it will be judged by mass audiences. There is a kick at the end of the story. A friend he sees the next day praises the show but bemoans the fact that the radio receiver lost the transmission for a minute. Technology and humans are still, it would seem, learning to communicate with each other. Benjamin sought ways to work with the technical possibilities of radio, and, specifically, to encourage audiences to reflect upon the medium to which they were exposed. One of Benjamin’s programmes was the radiophonic work aimed at children Much Ado about Kasper, from 1932. It was an hour-long play and the story was as follows: One foggy day Kasper is sent to the market to buy some fish. On the way someone from the radio station asks him to come in and do a broadcast. Kasper goes to the studio, but has no concept of what radio is and is nervous. Having established that an acquaintance in Putzingen would be able to hear the show, he lets off a torrent of abuse directed at him. All hell breaks loose, and Kasper has to go on the run. He gets into various tangles at the railway station, the fairground and the zoo, where he is finally cornered, and finally gets home and goes to bed. Unbeknownst to him the bed is miked up. His tirades from there after waking up are cut together and broadcast, and so the radio station has won – it has got its Kasper material. Kasper receives 1000 marks for his unwitting trouble. The themes of the play are intoxicating. They educate the listeners as to the types of permissible radio discourse. They demonstrate the mobility of radio broadcasting - its omnipresence in the city. They deal with radio’s intrusion into the most intimate space, the bedroom, reflecting on the alienation and commodification of cultural work - and, significantly, the play does this by using a folk-theatre figure Kasper, now displaced into a new media space. In doing all of this, it makes radio itself an object of discussion. It bares the mechanisms of radio, its means of reproduction. It also uses the specific capabilities of radio. It is a sonic piece. The dialogue uses wordgames and dialect. It begins in the fog, as if to suggest the demotion of vision and promotion of hearing. It uses a myriad of sound effects and noises. Through this specific aspect Benjamin tried to establish an interactive radio culture, for the children were asked to contact the radio station to guess what sounds were heard during the show. 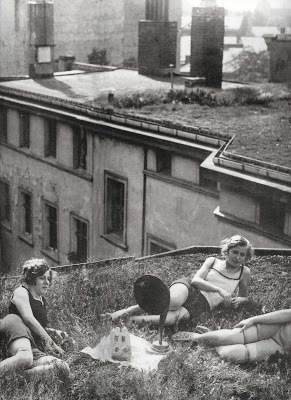 Saturday evening brings a type of literary society game from former and more musical times and, simultaneously, neatly concealed, a not futile psychological and pedagogical experiment, with the title ‘Radio Games’, led by Dr Walter Benjamin. A list of unconnected keywords is declaimed from a microphone to a child, a woman, a poet, a journalist, a businessman, human types which could be expanded or substituted at will. Together with the host their task is translate these words into a short, meaningful story. The listeners were requested to rate the different efforts and to partake themselves, their results being published in the radio station’s journal. The words chosen for the task were ones that were at least double in meaning. The lesson was one about the mutability and capaciousness of language. Imagination, pop Surrealism and a pedagogic reflection on language emerged in Benjamin’s version of radio culture. Radio is mentioned in a footnote in Benjamin’s famous essay on the artwork in the age of mechanical reproduction, written in the mid-1930s, but its treatment is rather negative. Benjamin observes how radio has been occupied by ‘those who govern’, and he must have in mind the use of radio to penetrate the intimate space of the home and seed ideology. The result is, argues Benjamin in an early diagnosis of charisma-politicians, that representatives are ‘selected’ on account of their voice, ‘a selection before the equipment from which the star and the dictator emerge victorious’. By 1936 when Benjamin published these words the liberal and experimental policy of Weimar radio was a receding memory and those personnel who had attempted to explore and fulfil the promise of the young technology were no longer employed. In 1932 a ‘radio reform’ had altered conditions, in an effort to promote state interest, and in 1933 Schoen and Flesch were arrested and hounded out of radio. Pedagogy and experiment turned into propaganda and conformism. But still the potential inhabited the technology, awaiting more sympathetic conditions in order to unfurl properly. Esther Leslie is a Professor of Political Aesthetics at Birkbeck College, London. She is the author of Walter Benjamin: Overpowering Conformism, Hollywood Flatlands: Animation, Critical Theory and the Avant Garde, Synthetic Worlds: Art, Nature and the Chemical Industry, and Derelicts: Thought Worms from the Wreckage. She sits on the editorial boards of Historical Materialism, Radical Philosophy and Revolutionary History. 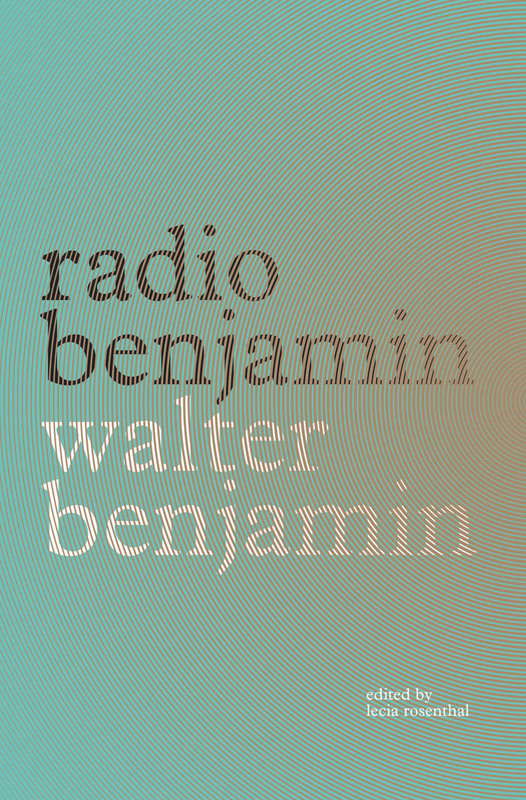 Walter Benjamin's collection of extant radio manuscripts, Radio Benjamin, is out now from Verso. Walter Benjamin, Radio Benjamin, Verso, London, 2014, p. 363. As he put it in a letter to Gershom Scholem in February 1925. Walter Benjamin, Gesammelte Schriften IV.2, Suhrkamp, 1991, p. 761. Walter Benjamin, G.S.IV.2, pp. 763. Mainstream radio in the postwar has learnt from some of these ideas - dull lectures and full-length operas are rarely the standard fare, and interactivity comes courtesy of phone-in-radio. How dull, desperate and distorted a realization of these ideas this is and how much potential yet remains, in this, or in a different social system, is still the question.